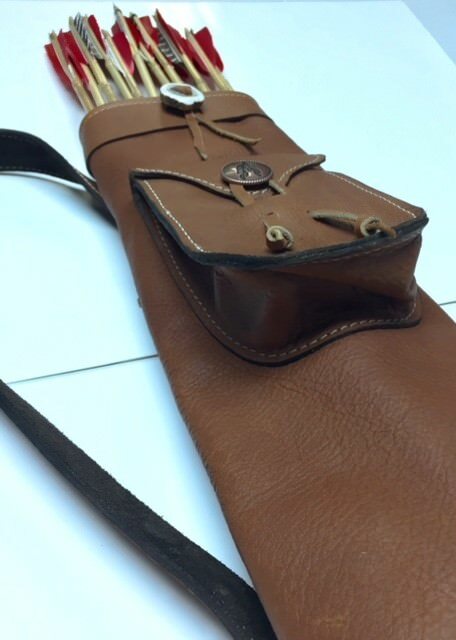 Traditions Leathercraft now has these heavy duty medium sized back quivers ready to ship! I build these a little more narrow than a standard Hill style back quiver. The width on these is 6" and they are 22"deep. The large gear pocket measures 4-1/2 x 6-1/12" and has a 3" gusset which allows for plenty of room to store and retrieve you gear. 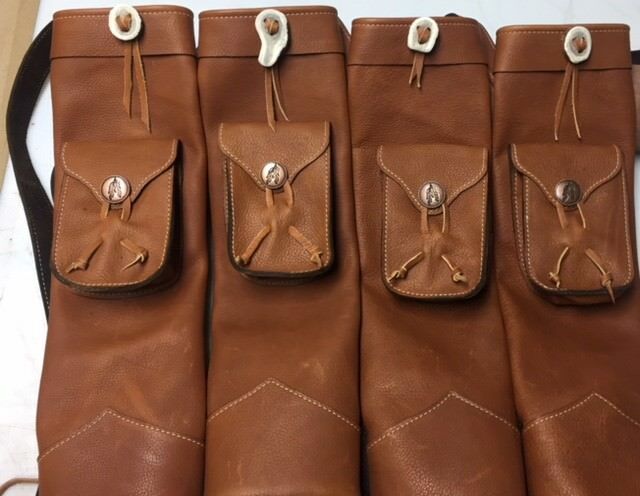 The shoulder strap is lined with top grain cowhide with the suede side out. I use a heavy, but flexiable, 7-8 oz US tanned top grain cowhide so the quiver has a broke in feel to it from the get go! The quiver is perfect for right or left hand carry. I bought one of these and the quality is outstanding. If I can answer any questions about these or any of my other products feel free to send me a message. Thanks for looking! My son in law got me one of these for Christmas. Exceptional quality and value. This is my first back quiver so I have not yet found the best way for me to wear and properly utilize it.